No one understands how important it is to choose the right meal delivery service better than we do. That is why we are here to help you make the best possible choice. While both Kettlebell Kitchen and Metabolic Meals offer delicious dishes and rather flexible subscriptions, there is much more to be considered before you make the final call. This Kettlebell Kitchen VS Metabolic Meals comparison allows you to get to know these companies better, discover their greatest advantages and shortcomings, and of course, find out which one provides a bit higher quality of service. 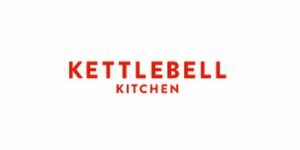 Kettlebell Kitchen offers an impressive variety of healthy, tasty, reasonably priced meals available for a la carte ordering as well as within 10 meal plans specifically designed to help you achieve your athletic, wellness, and lifestyle goals. Metabolic Meals allows you to shed pounds and maintain your weight with incredible ease by enjoying its health-boosting, chef-prepared, nutritionist-designed meals made of fresh, clean, organic ingredients. Kettlebell Kitchen menus vary depending on location and normally include 80+ items. Kettlebell Kitchen offers prepared breakfasts, lunches, dinners, sides, and desserts. It is keto-friendly, Whole30-compliant, Paleo-friendly, vegetarian-friendly, and flexitarian-friendly. Its entire menu is dairy-free, soy-free, peanut-free, and naturally gluten-free. Kettlebell Kitchen uses fresh, high-quality, locally sourced produce, 100% grass-fed, pasture-raised beef, antibiotic-free and hormone-free pork and poultry, and wild-caught fish. Kettlebell Kitchen offers well-balanced meals created in accordance with a variety of specific diets, dietary regimens, and athletic and wellness goals. Its meals are available in both medium-sized and large portions to accommodate different needs and appetites. Kettlebell Kitchen lets you modify, pause or cancel your subscription whenever you wish. You just need to make the desired changes by Wednesday at midnight EST. It also enables you to order subscription-free. Kettlebell Kitchen generally offers store credits instead of refunds. You can request a refund in specific scenarios and the company will do its best to accommodate your desires. With Metabolic Meals, you have 3 options at your diposal, including My Choice, Chef's Choice, and Family Plan. Metabolic Meals provides its customers with 30 entrees to choose from each week. Metabolic Meals offers diet breakfasts, entrées suitable for lunch and dinner, and healthy snacks and treats. All items on the menu are free from gluten, wheat, and soy. Based on your preferences, you can choose to receive meals that do not contain tree nuts, peanuts, pork, beef, chicken, turkey, shellfish, fish, eggs or dairy. The meals are best suited for carnivores and omnivores. Veggie dishes are rarely featured on the menu. Metabolic Meals uses fresh, seasonal, organically grown produce and antibiotic-free, grass-fed meat. The meals are completely clean and free from artificial colors and flavors, refined sugars, soy, and gluten. Metabolic Meals offers 2 portion sizes. With Fit portions, your daily calorie intake is 1,200-1,400 calories per day. With Performance portions, your daily intake is 1,800-2,100 calories. The meals are nutritionist-designed and optimally balanced. To change or cancel your order from Metabolic Meals, you have to contact the company via phone by 11:00 AM CST on Wednesday. For information about refunds, you should contact Metabolic Meals directly. As far as I'm concerned, KBK ticks all the boxes. Easy ordering, good food, good prices, loads of options. I just hope they'll keep up the good work, would be a shame if they started compromising on quality for profit, like so many others. Anyways, so far, I'm really happy. Ordered for the first time, overall, a good first impression. Arrived on time, tasty and pretty fresh. I liked more than half of the menu, which is not that common. Still, 2 flaws. Medium portions could be larger and the prices could be lower. Not that huge of a deal and maybe someone wouldn't agree, but I'm entitled to my own opinion. Posting a review because I appreciated the reviews on this site prior to purchasing. We've been using Metabolic Meals for about 6 weeks for lunches and dinners. We started with the service while our kitchen was being remodeled, but we're sticking with it even though the project is done now. When the packages first started coming I thought the portion sizes were small, especially for the price, but in the few cases when I've transferred the food to our dishes I realized that there's more food there than it seems in the provided container. Also, we've lost weight while using this service which is an added bonus. The variety each week and from week to week is nice, and I can't tell you how great it is to have all GF options. Also, the taste of the food on the whole is very good. Every week we find at least a dish or two that we think is amazing, most are good, and usually there's one or none that we don't like at all. It's also great that my husband and I can make separate selections because we have different tastes. On the whole, I'd recommend giving Metabolic Meals a shot if it fits your budget. My experience in the past few months has been great. Meals are really good, lots of options. Package always arrive cold and intact, and on time. Highly recommend! I have only been aquatinted with Metabolic Meals for a week and my world is HAPPY, HAPPY! I am a Senior Citizen, living alone, but am active and do Ballroom and Tango dancing. I have been hunting for meals that are not only good but good for you. As all of us that live alone know, it is difficult to prepare good nutritious meal for one person. I have tried several prepared, home delivery companies with varied results. Metabolic Meals gets 5 stars and 2 thumbs up. The packaging separates the meat product from the vegetables and that allows the vegetables to stay fresh and crispy... The Mahi cake was as good as I have ever eaten at a restaurant. With the meat being divided I have added some spices to the beef meals to suit my individual taste. The Savory Breakfast Casserole lends itself to a bit of salsa, but my all-time favorite (at least this week) is the Dill and Cheddar Scrambler. Knowing that scrambled eggs can be a bit on the dry side, I did add a few drops of milk and a tiny bit of butter. But the ability to customize these meals and still stay within the nutritional boundaries is what make the meals so great. I must caution anyone that uses the meals to not over micro-wave. This is also depending on your individual microwave, but I only microwave for 2 minutes. Some of the other prepared meals I heated for 4-5 minutes but the proper packing and organic ingredients doesn’t need to be over cooked. With the meals changing every week, the variety, hooray. I look forward to tasting the new items.. A real gastronomic adventure. Kettlebell Kitchen is a meal delivery service dedicated to providing healthy, ready-made meals that can help you make your dreams a reality, whether you want to get slimmer, stronger or just make better dietary choices. Read our entire Kettlebell Kitchen review to find out whether this interesting service fits your needs, desires, and budget.